You must use a restraining system if one is fitted in your vehicle. The law is complicated, so the best way to stay on the right side of it is to use the most appropriate restraint for everyone travelling in the car. 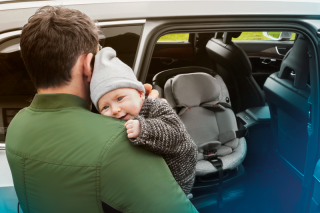 Children under three travelling in a vehicle MUST be carried in a correct child restraint (infant carriers or child seat). carried in the front MUST use a correct child restraint. 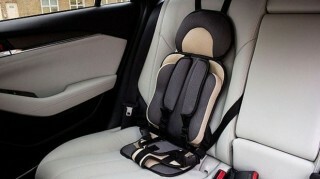 carried in the rear where seat belts are fitted MUST use the correct child restraint. or for a short distance for reason of unexpected necessity. or two occupied restraints prevent fitment of a third. 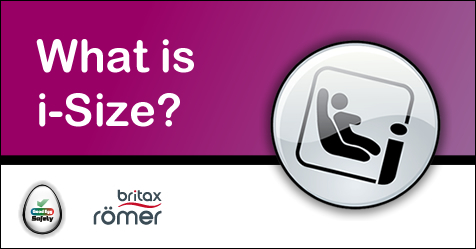 A child over 135cm in height (approx 4ft 5ins) or 12 or 13 years old MUST wear an adult seatbelt if available, in the front or rear. have your compensation restricted. Any money awarded after an accident may be reduced if anyone in the car was not properly restrained. In addition to seat belt legislation, the law also provides for those who are deemed to be carrying passengers in a dangerous manner. This is a much more serious offense and carries a fine of up to £2,500 and three penalty points. It's best simply to make sure you can't be found guilty.